Put bacon on a cookie sheet and bake for 10 mins until crispy. Let drain on a plate. Save rendered fat. 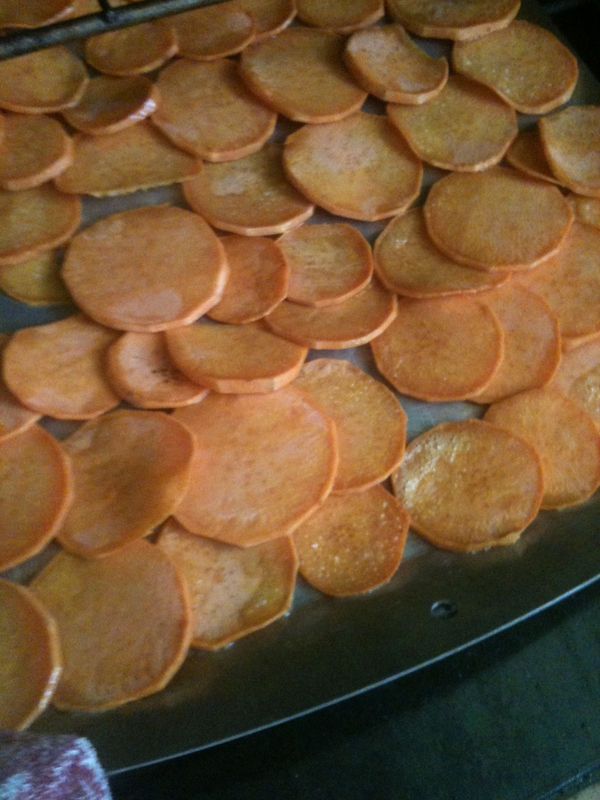 Coat yam slices in some bacon fat and lay flat on the baking sheet. Bake for 10-15 mins until tender. In a medium bowl, whisk eggs with rosemary, salt, and pepper. In a large, oven safe skillet, saute onions. 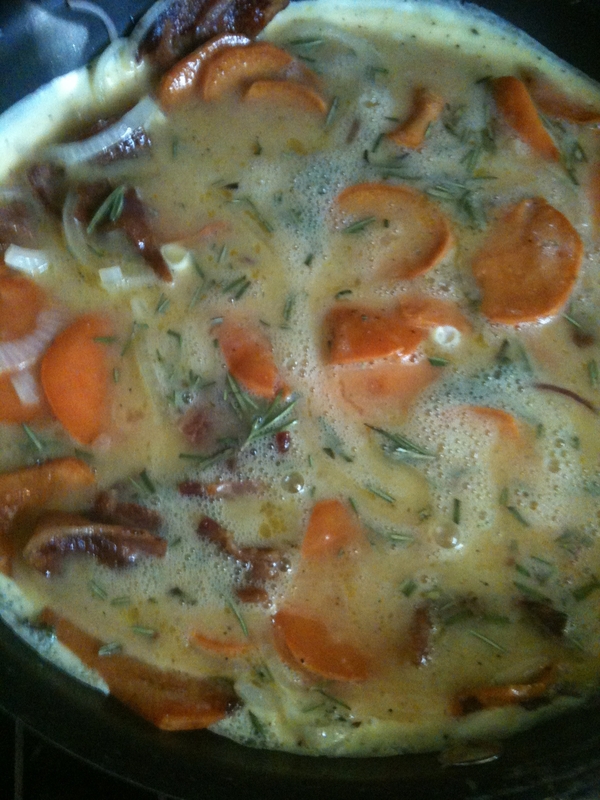 Add tender yam rounds and chopped bacon to the skillet and pour egg mixture over the top. Transfer skillet to the oven for about 15-20 mins until the center is set (no longer jiggles). 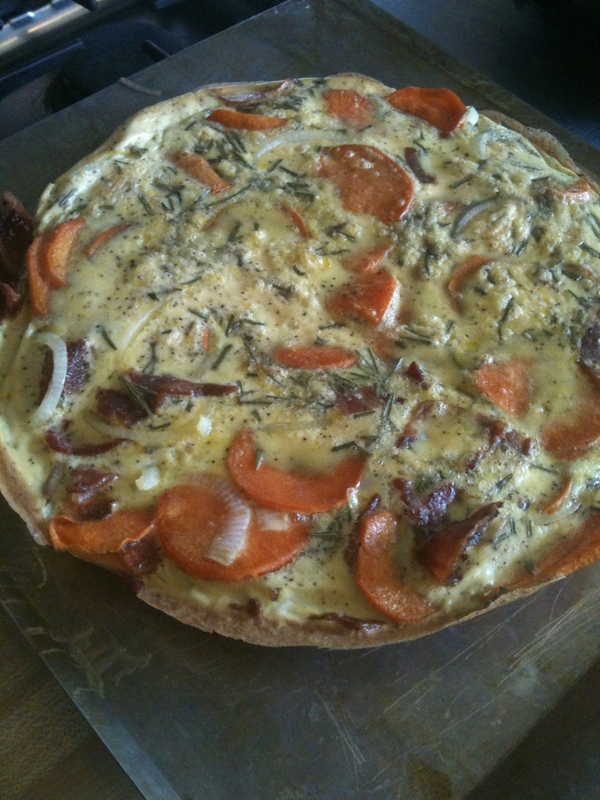 Remove from oven and slice to serve.